At least one new treatment is on the way for osteoperosis patients, and possibly two before the end of the summer. 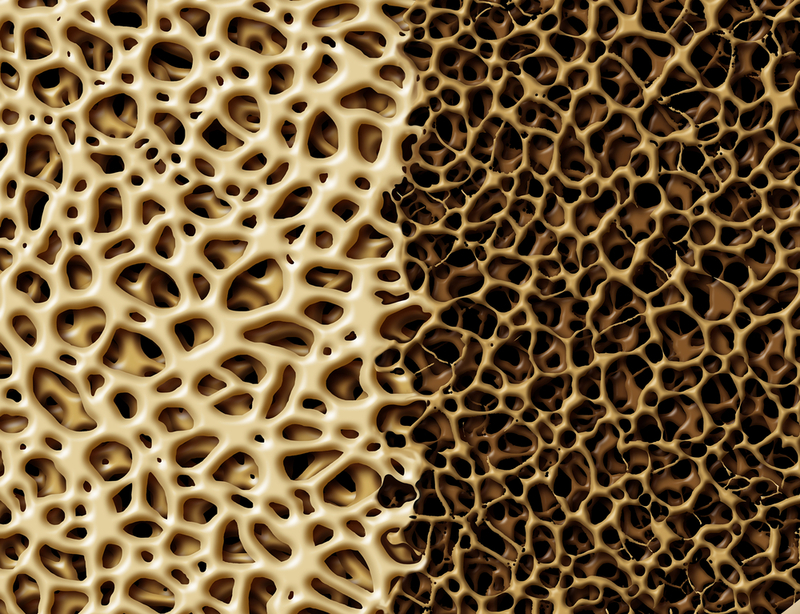 Radius Health on Friday won FDA approval of an osteoperosis drug that, like a rival treatment from Eli Lilly, can help build up the strength of bones rather than just prevent them from becoming more brittle. What’s more, a third, similar drug from Amgen could hit the market in July. The Waltham, MA, company hasn’t yet disclosed the price of the new treatment, known as abaloparatide (Tymlos). A Radius spokesperson said the company will have more details to share, including the drug’s price, during a conference call on Monday morning. But abaloparatide is the first approved drug for Radius (NASDAQ: RDUS), which was originally formed as Nuvios in 2003, and it’s a new option for postmenopausal women with osteoporosis who are either at high risk for fractures, or who have failed other therapies. The drug, injected daily, is meant to reduce the risk of spinal and other fractures. In a Phase 3 study called Active, the results of which were published in the Journal of the American Medical Association, abaloparatide led to a 3.6 percent lower absolute risk reduction in spinal fractures, compared to placebo, and a 2 percent lower risk of non-spinal fractures. It’s unclear whether the drug is better at lowering the risk of fractures than a rival drug from Eli Lilly (NYSE: LLY), teriparatide (Forteo), which is already on the market. 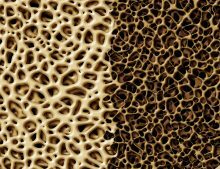 The FDA’s label says the drug isn’t recommended for patients with increased risk of bone cancer. The agency also warned the drug may cause hypercalcemia, high levels of calcium in the urine, and low blood pressure when standing after sitting. The most common side effects seen in clinical testing were nausea, dizziness, headaches, heart palpitations, fatigue, upper abdominal pain, and vertigo. Osteoperosis is a degenerative bone condition that affects an estimated 10 million people in the U.S.—8 million women and 2 million men, according to the National Osteoperosis Foundation. The disease is typically first treated with generic bisphosphonates that are meant to prevent bones from decaying further than they already have. But while the drugs are cheap, patients who take them can still suffer bone fractures. Amgen’s antibody drug denosumab (Prolia) is also prescribed to help preventing bones from breaking down. It booked $1.64 billion in sales in 2016. Radius’s drug—originally licensed from France’s Ipsen Pharma in 2005—is part of a different crop of treatments meant to strengthen bones instead. Eli Lilly’s teriparatide was the first, approved back in 2002. As this 2016 New York Times article points out, the drug, which costs around $3,000 for a four-week supply, has increased in price over the years and often faces pushback from insurers. Teriparatide generated $1.5 billion in sales in 2016. Radius’s drug creates competition, which payers can use to try to drive down prices. The market could crowd even more soon. 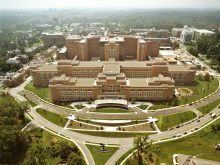 A similar, rival osteoporosis drug from Amgen (NASDAQ: AMGN), romosozumab, could be approved by the FDA by July 19. Radius is also developing a form of abaloparatide delivered via a skin patch. Shares of Radius climbed about 2 percent, to $39.72 apiece, in midday trading on Friday.